Fishing for Tigers by Australian author Emily Maguire is the tale of an American woman, Mischa, who moves to Hanoi after leaving an abusive relationship back home and remakes her life, working as an editor. As Mischa starts an affair with the 18-year-old Vietnamese-American son of a friend, Maguire probes the expat scene in the Vietnamese capital, describing an array of characters who ring true as well as the city itself. The affair is a confronting part of the story, but it is assuredly handled. Cal, the younger man, questions his heritage and the history of war between the two countries of his parents, making 2012-published Fishing for Tigers more than just a problematic romance set in a foreign country. With a light hand, and moving well beyond the relationship, Maguire explores the questions plenty of expatriates and long-term travellers face. She also captures the Hanoi of today without falling into the usual travel writer cliches that can make you throw a book across the room. This is the unadorned, gritty Hanoi of today, not the rose-tinted views in books of yesteryear. We have to admit we didn’t quite love the ending — but you’ll have to read to that point yourself. 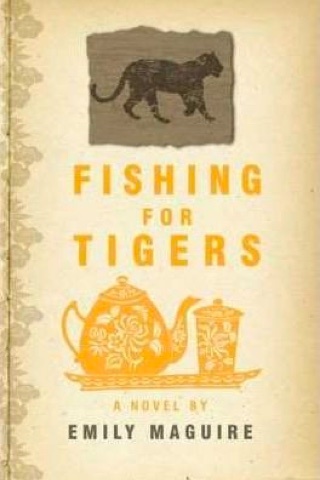 Fishing for Tigers makes for an easy but rewarding read. Recommended for those heading to Hanoi — and also those thinking of moving anywhere in Southeast Asia, too.